Greater Manchester has a number of shiny assets, particularly down the Oxford Road corridor and Salford, but understanding what is going on in each of the 10 localities is also vital. Last week I had the privilege to spend some time in Tameside and Glossop in view of the real challenges for the local population (for example Tameside has some of the worst mortality rates for cardiovascular disease anywhere in the UK) and the chequered local history of Keogh review and special measures implemented after the CQC visit in 2013. I have some history with Tameside. I did cardiothoracic surgery clinics there as a trainee, and my in-laws had a local GP practice which passed through three generations. I know Karen James, the Chief Executive, from my time at Wythenshawe Hospital and visiting Tameside this week felt like coming home in many ways seeing a lot of familiar faces. A few years ago I was involved in planning the reconfiguration of cardiac services in Manchester and a number of us had the slightly whacky idea of moving all the tertiary cardiac services from the major university hospitals to Tameside, on the basis that it was the locality in Manchester with the greatest need for these services and they have some fantastic real estate built as part of the NHS PPI initiative. In reality this idea was never going anywhere, but it does make the point that Tameside General was struggling to find their place as a small hospital surrounded by some major players, serving a population that needed fantastic healthcare services more than most. And they were in such a bad place they had to start doing things differently. Being in such a crisis also liberated £23 million from the GM Transformation fund, which has certainly helped. In Tameside, a key relationship is between Karen, as the CEO of the main NHS provider and Stephen Pleasantas the Chief Executive of the Council. Karen describes this as being “highly collaborative and based on mutual respect and trust.” They have worked on the relationship. They have invested time and effort in developing all relationships at Board level. And they expect their teams to do the same. I have blogged extensively about the need for 21st Century digital executives to be leading 21st Century digital organisations, and one of the domains in the model I have been using is values-based leadership. To my mind this is a great example of this in action. Of particular interest, Karen called out specifically that this leadership skill set is different from that which she has found necessary in her previous roles. I think this is the key issue that has enabled Tameside’s profile in GM to move from the back of the pack to a leading position. They have backed the leadership relationships with a significant investment of time and resource into organisational development as well. 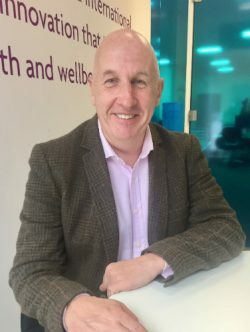 Tameside now have the advantage of a single commissioner across health and social care and they clearly realise that the key determinants of outcomes are perhaps different from where others are putting their emphasis. In my view, the factors that contribute to a person’s health outcomes may be 20% down to the quality of healthcare delivery, 20% down to their genes, and 60% down to their behavioural and social circumstances. You have to work very hard to influence the outcomes of healthcare delivery, at the moment you can’t do anything about your genes, and this must influence our decisions on where to place our efforts. As a consequence, in Tameside and Glossop they recognise the critical importance of their localities as there is significant variation in outcomes across the borough, which requires localised approaches for resolution. They are also in the process of undertaking the complex work of putting together true outcome-based contracts, to further enable delivery of population health benefits. I also found out that Tameside and Glossop’s Digital Health Team has also been shortlisted for a HSJ Value in Healthcare Award and it was great to discuss this with Trish Cavanagh who has driven the model. Tameside has recognised this and has used a straightforward approach based on Skype to deliver a technology and workflow solution to the problem of high A&E attendance rates from care homes. This has involved working across the whole health and social care spectrum, so it is clear that ‘relationships’ were the key aspect that unlocked the benefits from technology. And those benefits are substantial – they claim 1723 days of bed savings over a nine-month period with a clear return on investment on the transformation spend within the year, with additional benefits from decreased A&E visits and community healthcare activity. From the digital perspective it seems they have followed the key success factors. As well as exploring the whole of the business diamond model with clear problem statement definitions, they have delivered a series of minimal viable products in a ‘dev-ops’ way, applying adaptive execution and very clear outcomes measurement as they go. There are all kinds of lessons here I think. Digital is just one bit of the jigsaw in Tameside and they have many other fantastic initiatives on the go. Health Innovation Manchester is actively working on a number of projects across the locality, including supporting primary care to reduce falls and fractures related to frailty, as well as our Healthy Hearts programme, where 38 GP practices are conducting risk stratification of patients at risk of stroke and there are 96 patients currently using the AliveCor self-monitoring devices. It is clear that Tameside and Glossop’s appetite for risk is high and they are actively looking to apply as light touch governance as possible over all their innovations, which is of course only possible if the relationships are right at the very top. A team from the Collaboration for Leadership in Applied Health Research and Care (CLAHRC) – another constituent part of Health Innovation Manchester – are in the process of doing an in depth academic analysis of the Tameside project, and it will be fascinating to see what this reveals, but for now it feels like we should all be watching Tameside very closely and applying their lessons as we go.